Yo, Semite! I Think I Love You! — Ends in Style. Yo, Semite! I Think I Love You! This year is the 100th Anniversary of the United States National Parks Service. Our big, beautiful country is home to volcanoes, waterfalls, HUGE mountains, canyons, caves, geysers, pools of bubbling colorful goo, and pretty much everything else in between. There are 58 National Parks in the US, so it's time to start checking them off your list if you haven't yet been to many. Until mid-July, I'd only been out west once. In 2013, I went to Grand Teton National Park and Yellowstone National Park. Both of these were incredible! Never before had I seen such high mountains, and I'd never seen mountains that just came out of nowhere, surrounded by plains and soaring up thousands of feet into the sky. 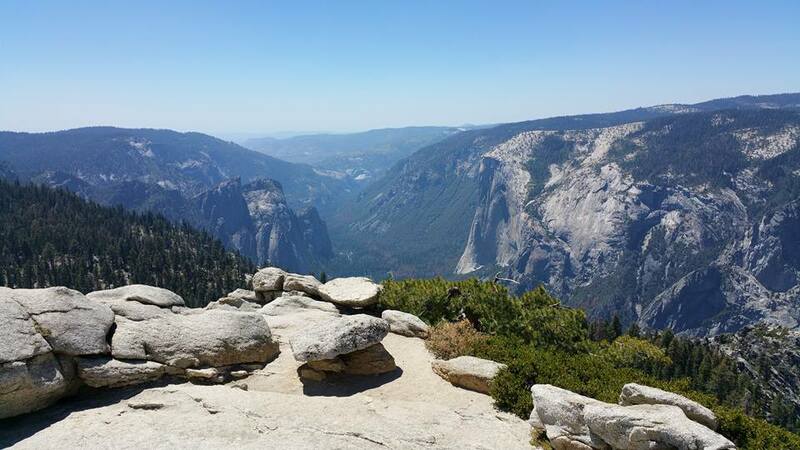 This July, Victor planned a trip to Yosemite National Park in California. We flew into San Francisco (my first time seeing the Pacific Ocean in the USA), which was beautiful. We will be back when we have time for more than just lunch. After driving through countryside speckled with windmills, we arrived at a Bed and Breakfast we found on AirBnB. It was very cute and had two dogs on staff helping our sweet hosts. We mapped out a basic plan of attach for our trip before we left, so we chose an AirBnB that was equidistant from each of the entrances we'd use to get into the park while we were there. Since we planned our trip without tons of notice, most of the camping in the park was booked up. But I'm not complaining because the AirBnB was super comfy and the breakfasts were HUGE and delicious--perfect for fueling up for long hikes each morning. Day 1, we did a tour-de-valley. We drove around a little, parked, and started our full day of hiking. We hiked so long on day 1 that we came back to the car and it was pitch black for some time. We had tired feet, were a little sore, but very happy. From the valley, you can see the very famous El Capitan and Half Dome. 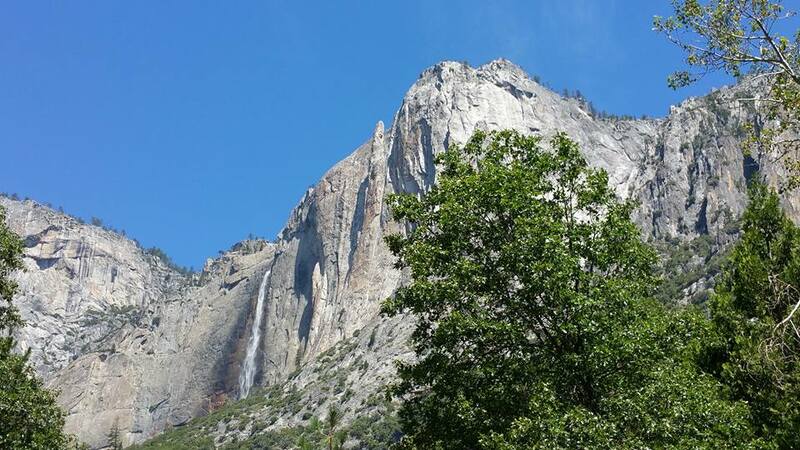 We walked along the meadows, hiked up to Yosemite Falls and bouldered to the bottom of the falls. The boulders were hot as they baked in the sun, but it was way worth the reward! A fine mist of cool water from the falls blew around and was so refreshing. We did kick ourselves a little for not wearing swimsuits. The pool at the bottom of Yosemite Falls was filled with swimmers--and we were instantly jealous. We made our way down, headed to Bridalveil Falls, which was almost dried up for the season. The bouldering here was a little more treacherous. The rocks looked like polished metal and were super slick. Though we went for somewhat more challenging routes and climbed up rocks for better views and less crowd, the park really is accessible to everyone. There are handicapped ramps, viewing platforms, and buses to help those who may be less able to get around still be able to enjoy the park fully. 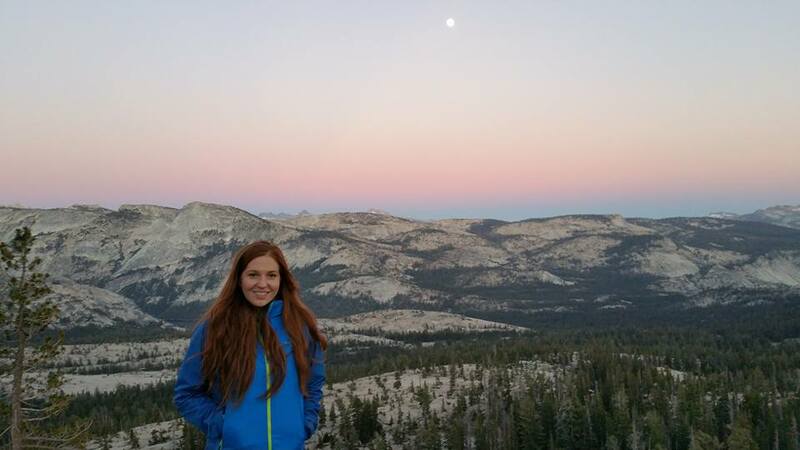 We finished our day after Hiking to Mirror Lake to see the sunset over Half Dome. We saw Yosemite Sam, too! Our second day in the park, we headed first to Glacier Point. If you're going in the summer, get there early or stay in the park. We took a more leisurely approach to our morning on our second park day and so we had to park in a far off lot and be bussed to the Glacier Point trailhead. That was the only thing about that day that wasn't perfect. Naturally, these photos don't even come close to doing the view justice. Victor is braver than I am with heights. I crept to the edge and the took pictures from a "safe" distance. 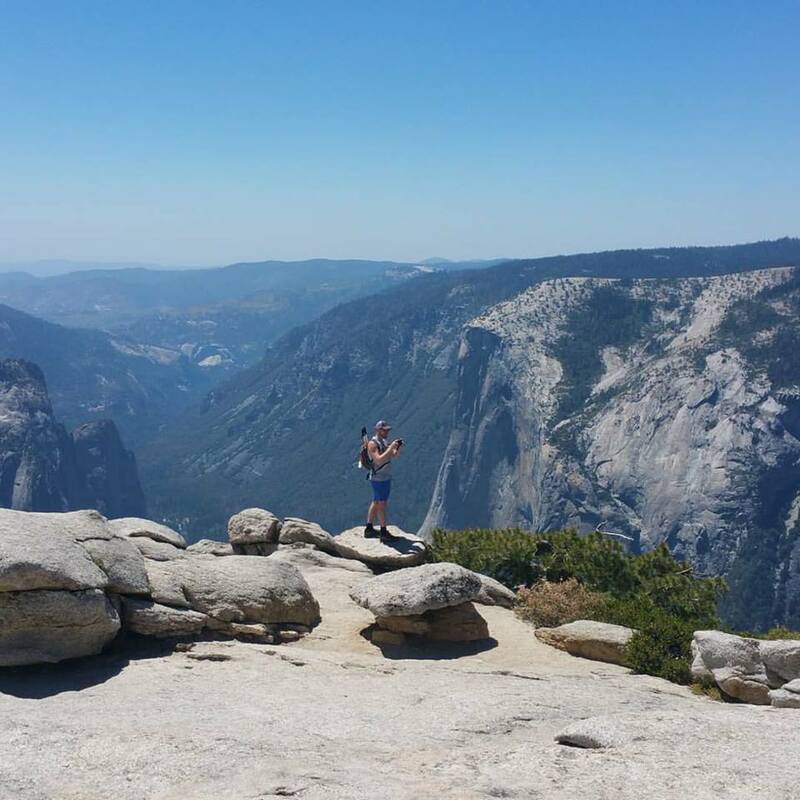 The photo above of Victor on the scary edge is at Sentinel Dome. The wind whips around so fast and so hard up there, it's a thing to behold. On our way from Sentinel Dome to Taft Point, we found this huge cluster of solid quartz. Everywhere you look, flowers and trees find their way to root between rocks and on the side of cliffs. They're determined! Next, we hiked around the Giant Sequoias. They're incredible. 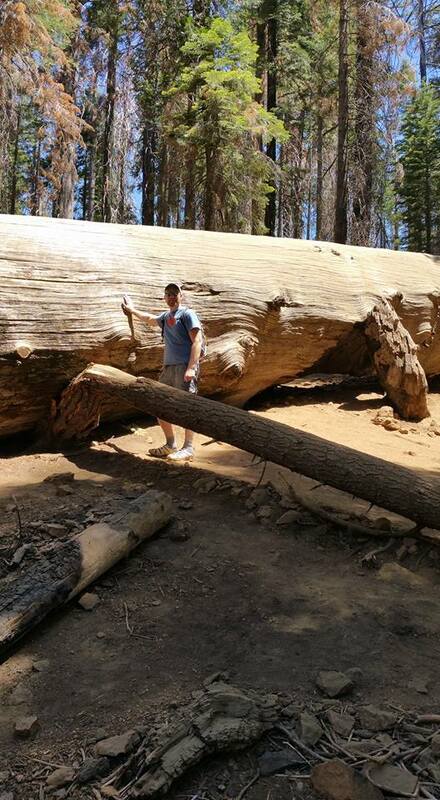 Unfortunately, the portion of the park with the largest and oldest tree in the world was closed while we were there. Everything feels bigger in Yosemite. 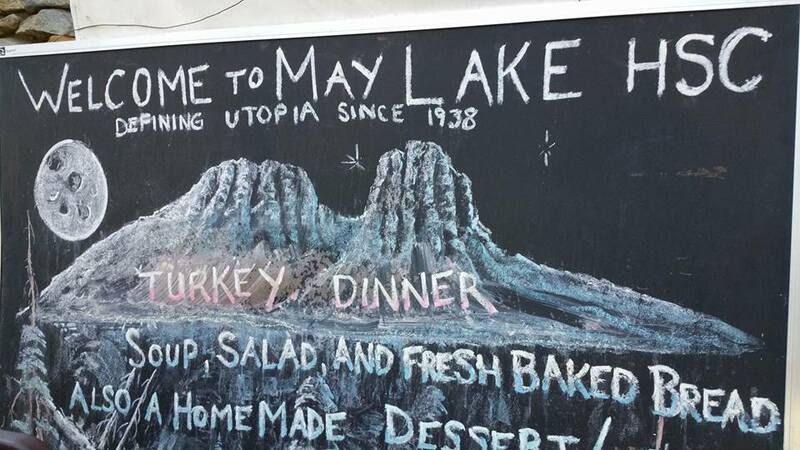 Our final night in Yosemite, we stayed at May Lake High Sierra Camp. It's a fairly steep hike in, full of prehistoric looking petrified wood and tumbled rocks with twisted trees forcing their roots between the rocks and just dealing with the rocks around them by bending and squeezing around them. The High Sierra Camp was awesome! Little huts with tiny fireplaces in each one were shared by 4 people in each. There's a food tent for dinner and breakfast. The manager of the camp blows a conch shell to call everyone for meals and hot beverages. It was 96 degrees in the valley and got do to a very cool 34 degrees at the camp that evening. I was not prepared for that--but a fire, hot cocoa, and layering saved the day. Victor LOVES the water. He even swam in the 54 degree May Lake. I watched from the warmth of the beach. He's a champ! After dinner, we hiked to the top of the ridge to watch the sunset. It was so beautiful that Victor wished he had held onto the ring for one more night. We met a very active pair of grandparents who gave us marriage advice and life advice--to keep active and stay interesting. They've been married for 54 years, are in their 70s and hiked up to the nearly 10,000ft elevation with us! We hiked to the same ridge for sunset the next morning, then we heard the conch shell call and enjoyed breakfast. The views and hiking around the camp were gorgeous, but we loved the company equally. Everyone was so friendly and kind! 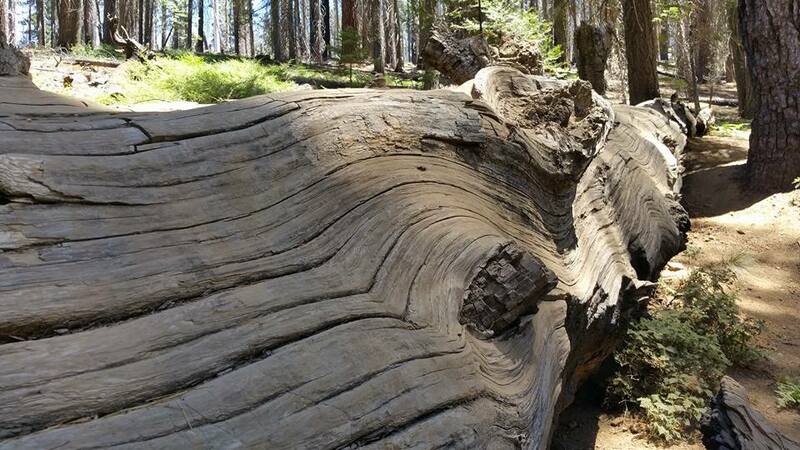 We got to talk with people who had grown up coming to Yosemite each summer along with people like us who were just visiting for the first time. It felt like grown up summer camp in the best possible way. Because of the elevation, these cuties are the cargo haulers who bring the food and supplies up to the camp. Also worth mentioning, we saw MARMOTS! They were so cute and fluffy and not afraid of us being nearby. For our final day (we flew out late that night), we made our way to Tuolumne Meadows which is where we saw the most Yosemite residents. It was pretty clear who had been backpacking for weeks on end. They even have a post office at the store for those who have supplied shipped to them to extend their trips. We definitely looked like the "squares" among all the dreadlocked hair, but at least we hadn't showered in a couple days either. 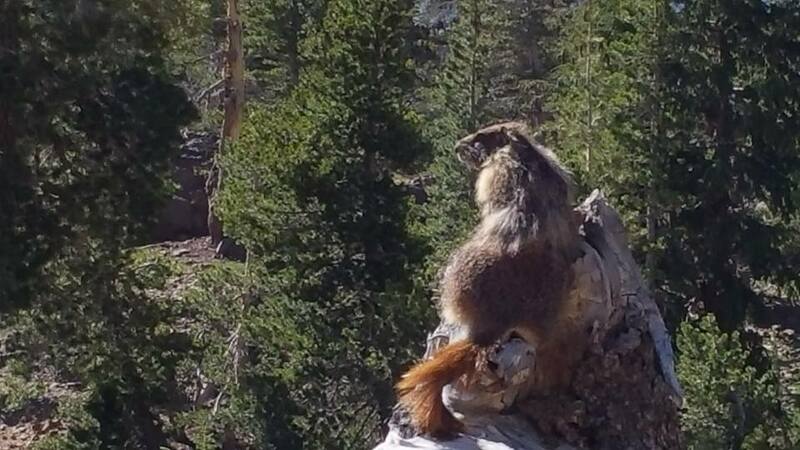 In Tuolumne Meadows, we saw lots of little ground squirrels that very cutely popped up like prairie dogs, we saw the biggest hawk I've ever seen flying just over our heads (yikes/cool), and even some mule deer bedded down in the reeds along the river. It was peaceful, cool, and beautiful. 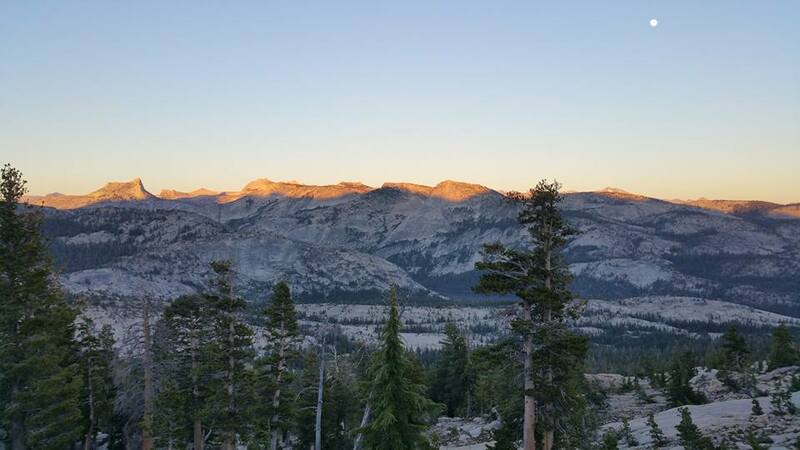 I highly encourage everyone, no matter what your hiking skill level or comfort with camping to go and enjoy Yosemite. It is now extra special to us and we plan to be back soon! 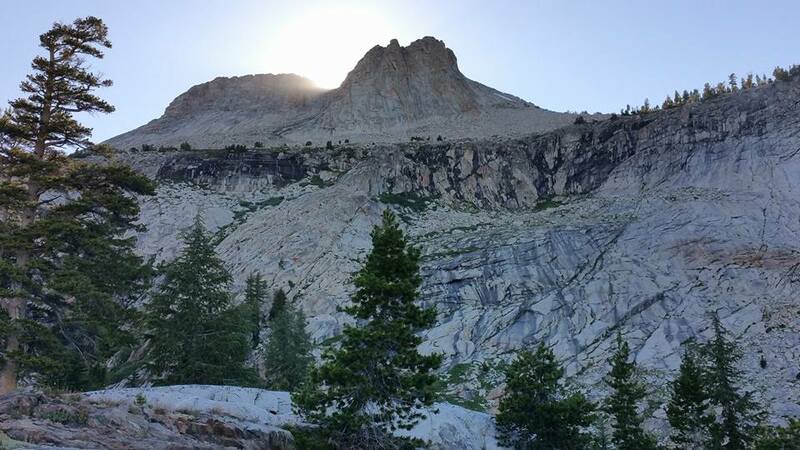 Next time, we will plan further in advance and camp in the park each night in tents and perhaps another visit to the High Sierra camps-it's worth it!